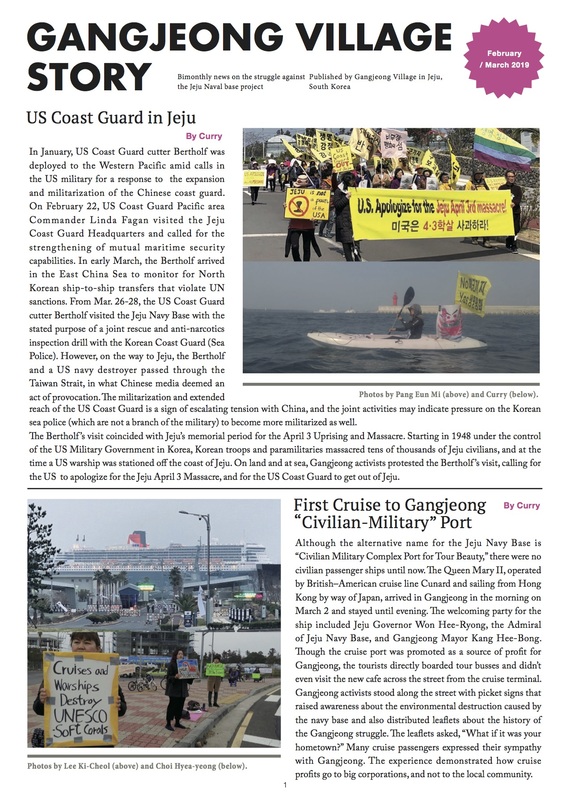 After 30 days of marching throughout South Korea the combined team of Gangjeong village resistance against the Navy base and many other progressive movements have arrived in Seoul for their final events. 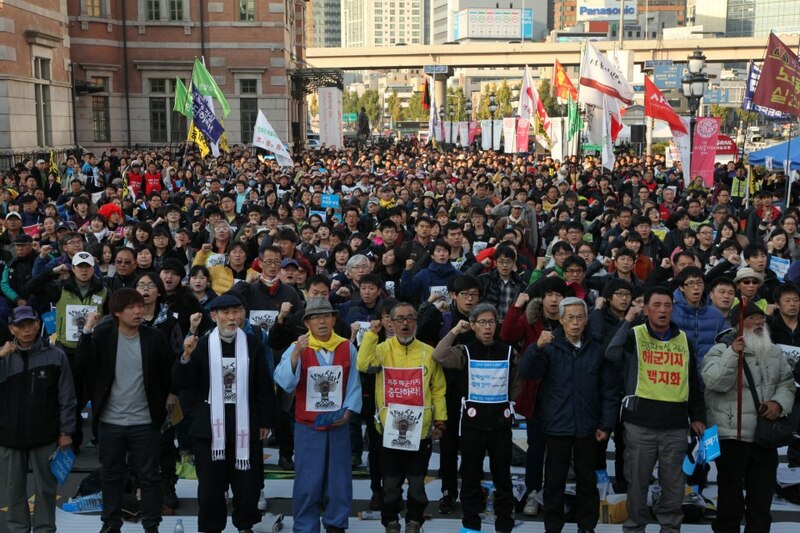 The movement there has brought together many threads of the opposition to the right-wing policies of President Lee’s corporate dominated government. For more photos by Fielding Hong, see here. We in the U.S. have much to learn from this kind of organizing. Instead of going it alone, using the “business model” of organizing, we should be bringing labor, environmental groups, peace activists, women’s groups, and more into a grand coalition to stand against the corporate policies of the U.S. government. Instead we are divided over whether or not the Democratic Party truly represents the interests of the poor and the middle class. Who can believe that we will ever get anywhere in our movement building as long as we remain in captivity by a political party that is bought and sold by corporate $$$? We should be organizing progressive summits in every state of the union and begin to have strategic discussions immediately. No matter who wins the election(s) we’ve got to get this cooperative organizing process in place ASAP. If we wait around for another four years it will likely be too late. Connect the dots and survive.